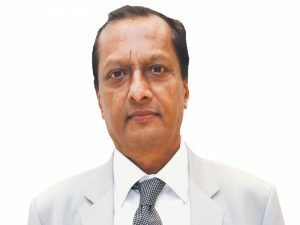 In its 67th AGM held today at The Umrao, New Delhi, the Hotel and Restaurant Association of Northern India (HRANI) has elected SK Jaiswal as the President for the term 2018-20. He is also the President of Uttar Pradesh Hotel & Restaurant Association (UPHRA) and Hony Secretary, FHRAI. Other elected office bearers include Vice Presidents Ravinder Nath Kukreja and Rakesh Roy; Hony Secretary Amarvir Singh; Treasurer Garish Oberoi, and Hony Joint Secretaries Ankit Gupta and Rattandeep Anand. Jaiswal completed his Senior Cambridge from St Francis College & Intermediate from Christ Church College, Lucknow. He has done B Sc and LLB from Lucknow University and Hotel Management from Food Craft Institute, Lucknow. He is the Managing Director of Deep Group of Hotels at Lucknow namely Hotel Deep Palace, Hotel Deep Avadh, Deep Hotel, including Hotel Deep Mayur, Kanpur. The group is also introducing with a five-star deluxe property Ramada Plaza and a budget hotel Ramada Encore with an international-level convention centre at Kanpur Road, Lucknow. 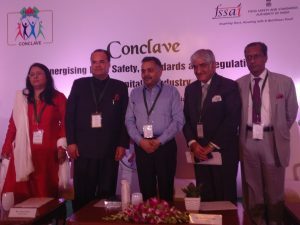 The Hotel and Restaurant Association of Northern India (HRANI) held its conclave recently on ‘Synergising Food Safety Standards & Regulation in Hospitality Industry’ at The Imperial, New Delhi in association with Food Safety and Standards Authority of India (FSSAI). Speaking at the press conference, Pawan Aggarwal, CEO, FSSAI said, “We have moved a long way since last year in building trust with the food businesses. With our focus on trainings, 16-18000 people have been trained and about 850 training sessions have been held. Our focus remains on preventive safety.” On the upcoming projects, he said, “In a few months, we will be launching a new generation of IT platform, Food Safety Compliance System (FSCS), which will provide a history sheet of food permissions and their compliances. We are also trying to establish clean street food hubs by demarcating areas for street food.” Plenary sessions were held on ‘Simplification of Food Safety Regulations for ease of doing business’ and ‘Save Food Share Food Share Joy Initiative’. An awards ceremony also took place to felicitate HRANI member units for implementation of Food Safety Training and Certification(FoSTaC).